We need to add some code to send a JMS message. 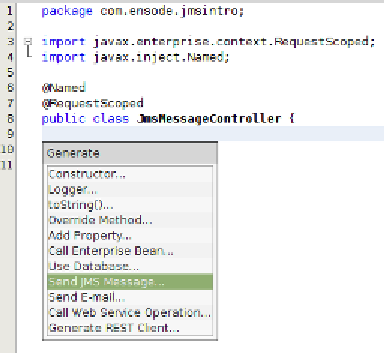 NetBeans can aid us in this task. corresponding dropdown (this is the queue we created in the previous section).